Social and economic changes have redefined the world of exclusive private clubs. The story of Annabel’s says it all. Kevin Regan looks back with fondness – and takes a hard look at what lies ahead. When Annabel’s opened its doors in 1963 against a backdrop of a black-and-white London, with its nascent Beatles pop, fashion and culture scene, its founder Mark Birley had literally carved from a coal cellar a unique vision of how he intended to live his life. 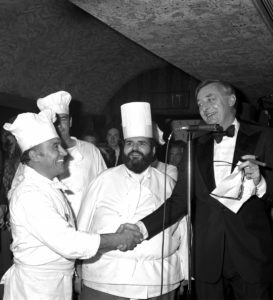 MARK BIRLEY and chefs at Annabel’s, Berkeley Square, London at a New Orleans themed party on 15th September 1980. 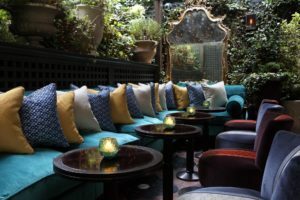 Located on Mayfair’s exclusive Berkeley Square, Annabel’s was a place like no other: a members-only nightclub, founded around Birley’s large circle of loyal friends. His style and class was the initial attraction: the club became the ultimate high-end party destination, at the time when the newly famous really wanted to belong to something. The 1960s revolution in Britain and America was about its home-grown talent and glamorous following. This new generation was ready to move on from the dull post-war era and explore new music, fashion and political trends; they were truly untethered. NIGEL DEMPSTER and the HON.MRS DAVID HEIMANN at Annabel’s in September 1980. In Britain, this newfound freedom was, for the first time, class-neutral. This phenomenal cultural explosion required validation; new social networks were being established. Liverpool’s Cavern Club hosted one end of the spectrum and Annabel’s accommodated the other. Named after Birley’s charming, charismatic, titled wife of 10 years, Annabel’s was a uniquely British environment for thoroughbred party animals. Members and guests could crank their decadent impulses up to maximum. Marriages were made here, but it is likely that many more were broken. 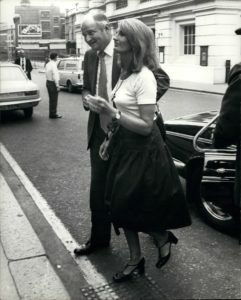 Lady Annabel met her second husband, James Goldsmith, during those hectic years of the mid to late 1960s. A friend of Mark and Annabel, Goldsmith became the release valve for her at a time when the atmosphere of the club provided too many distractions for their marriage to remain intact – although they remained close friends. Dec. 21, 2011 – Sir James Goldsmith with Lady Annabel Birley the mother of two of his children. What a time was had by all, and for so long. 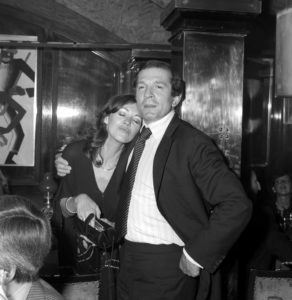 Hip socialites, from Nicky Hallam, Patrick Dempsey and George Hamilton to music stars like Mick Jagger and Eric Clapton, came to party. What club would ever turn away all four Beatles for not being properly dressed? Annabel’s once did. Frank Sinatra partied hard there; Diana Ross and Lady Annabel danced; Shirley Bassey, Bryan Ferry, Lulu, Grace Jones and Lady Gaga all sang there too. 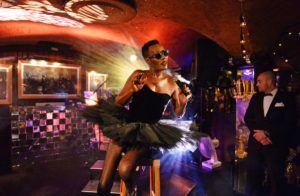 Top models, like Sandra Paul, who held her wedding reception in the club, Kate Moss and the Delevingne sisters would electrify any night just by turning up. Presidents Kennedy and Nixon, and all-American heroes John Wayne and Muhammed Ali, plus A-list screen stars of the day – Elizabeth Taylor, Sean Connery, Diana Rigg, Michael Caine and more – came to the place where they could drop their guard and be themselves. Annabel’s also held an enduring attraction for British and European royalty. Her Majesty the Queen once famously dropped in for a nightcap, and more often so did Princess Diana (once dressed as a police woman on Sarah Ferguson’s hen night). The King of Spain, Prince Charles and Prince William all patronised the club. I remember being there on one occasion and seeing Prince Charles on the dance floor; 25 years later I witnessed Prince William in the same spot, celebrating his stag night. Certainly, he was the livelier dancer. There was a general acceptance that it was simply the best nightclub in the world. This was an evolution of the traditional English gentlemen’s clubs, the grandest of which were situated down St James’s Street. From the 17th-century onwards, clubs like Whites and Boodles – both going strong today – established the principles of what a selective private club should be. Often an all-day affair and strictly for gentlemen, this model was adopted by Annabel’s and the stakes raised to include ladies, music and dancing, at precisely the right time for such a change in British society. Annabel’s runs the entire length of an 18th-century town house, serving as a perfect space for a discreet club. After descending the metal stairs under the famous green canopy from street level, members and their guests are ushered along an elegantly decorated corridor. The club opens up to the first of its two main bar areas. A handsomely stocked bar is positioned opposite a comfortable and intimate seating area, every inch of wall covered with artworks. Mahogany swing-doors take you into the second bar, the lights dimmed extra low. Pulses quicken as arriving guests peer inside, intrigued by what they can’t quite see. Flickering lamps sit on intimate, white linen covered tables, positioned around the original cellar pillars wrapped in polished copper, creating an ethereal effect. The magic continues all the way down to the dance floor. There are also secret rooms, discovered over the years within the original brick cellars – perfect rendezvous destinations for old friends and new party animals. The staff members at Annabel’s know everybody’s name. The barmen prepare each drink as if it were a masterpiece in club theatre. Couples slide onto the tiny dance floor; beautiful women and great music are always good for getting any party going. My first time at the club was in the early 1980s. It was the most interesting place I had ever been after midnight, offering a subtle and decadent embrace. Within a couple of years, I was admitted as a member. All these years later, with the best of my party years behind me, I still look forward to dropping in and catching up with my favourite barman, Gianluca. 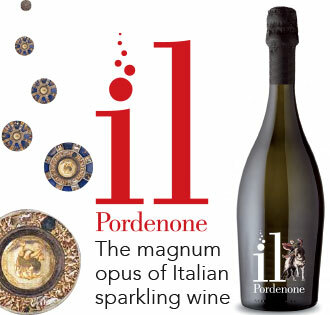 An Annabel’s veteran with great Italian flair, his service is impeccable. Birley went on to build a Mayfair-centric restaurant and club empire: elegant, private dining venues that were frequented by the original jet-set. There was nothing ostentatious about Birley’s operating model, just unrivalled quality and well-chosen addresses. Members felt they had entered his inner social circle. 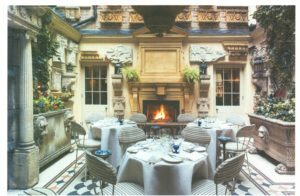 After falling ill in the early 2000s, he set about finding someone to take over, someone whom he could trust to run his beloved Annabel’s, as well as his private member restaurant group, accepting that few would possess his skill and insight. 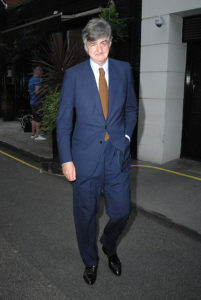 Richard Caring was already a successful and savvy restaurant and club owner, who could afford the reputed £103 million price for Birley’s empire. 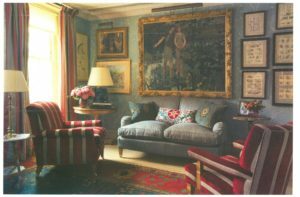 The deal included the private member restaurants Mark’s Club, Bath & Racquets, The George and Harry’s Bar, along with their formidable art collection. Birley had been for long the beating heart and soul of Annabel’s, and after his death in 2007, Caring kept his word and for a long time, nothing much changed. A good club, however, has to be the embodiment of its owner’s vision. Caring eventually wanted his own style to emerge from the shadows of the old club. With Annabel’s gradually transforming, the increasing numbers of new members presented him with a dilemma. Caring’s approach fundamentally differed from the Birley model, where an opportunity to expand typically proves irresistible. Witness his success with the Ivy restaurant franchise. He had to either rein in membership numbers to work within the physical confines of Annabel’s cellars, or look to achieve the seemingly impossible. Caring believed that he could not only physically move the club, but also expand its experience. He would do this by keeping very close to home. Moving only two doors down, and building out one of the most expensive and stylish members’ houses in Europe, Christmas 2017 saw the original club’s final fling. The new Annabel’s opens its grand doors in early 2018. The new all-day club will occupy an entire Georgian house, not just a basement. There will be a spa, gym, as many as seven bars, two restaurants (one positioned in the outdoor terrace with a vast and complex sliding roof) and of course the new nightclub. The formation of 300 Life Members whom, rumour has it, are paying six-figure sums for the privilege, suggests a good start. It is clear, though, that London’s nightlife and private-club scene has moved on since 1963. The new Annabel’s needs to be more than just good – it needs to be legendary. Competition is strong. The most obvious comparison will be made with another Birley nightclub just around the corner. Some years ago, Birley’s son Robin found backing to establish a direct rival in Mayfair’s Shepherd’s Market. 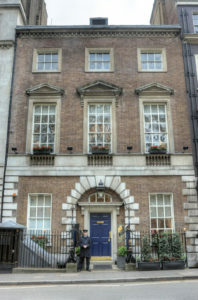 The club, 5 Hertford Street, ‪along with its nightclub, LouLou’s, has been a true success. Rivalry was immediate, with some of the original Annabel’s staff decamping. More controversially, some of Annabel’s established members shifted allegiance. 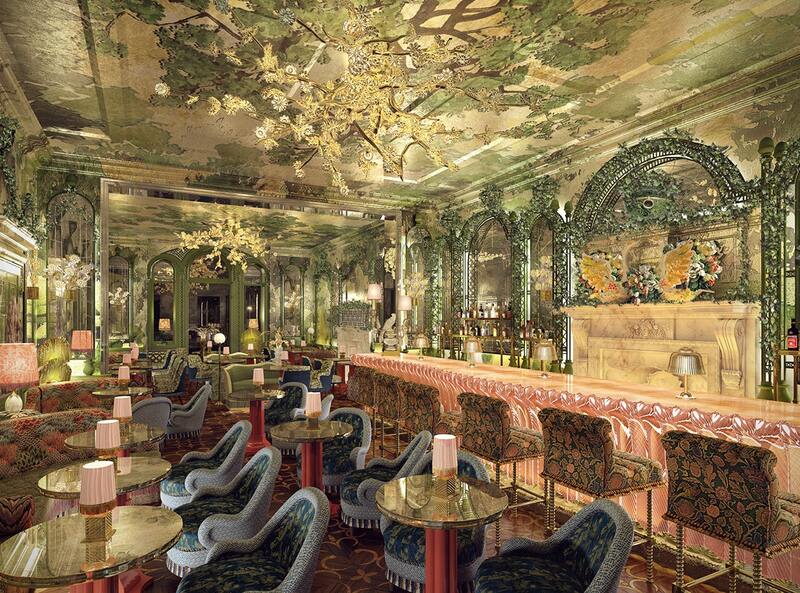 The club has once more captured the exclusive nightclub aura that Annabel’s once enjoyed under his father. With a waiting list of reputedly 4,000, and the club taking its time in admitting new members, being accepted into 5 Hertford Street is to ‪feel included, important and wanted. This, in essence, is what an exclusive London club membership should be. Like his father, Robin has charisma and loyal friends who made it clear to his original backers that they would support any venture he established. It has not all been plain sailing over the years, but they say what doesn’t break you makes you stronger. The younger Birley deserves the success he is now enjoying, having worked hard to earn the loyalty of members, staff and family friends. David Wynne-Morgan has been a major player in the Annabel’s legend since the beginning. A friend and colleague of Mark Birley since 1962, he is now the Chairman of 5 Hertford Street and a supporter of Robin, whom he has known all his life. While we were sitting in the main downstairs bar, so popular on early weekday evenings,. I noticed how many members came over to acknowledge his constant presence. It’s a club thing, a familiarity between owners, their inner circle and members. So given that Caring understands and accepts this, what kind of club does he want the new Annabel’s to be? 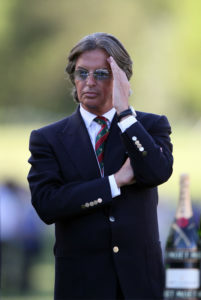 If a great club is about having a great owner almost always visible to its members, does he want to oversee the ultimate party space for the new-money elite, or does he want the greatest and most exclusive club in the world, reclaiming the crown once worn by the original Annabel’s? There is a difference here: great spaces and buildings do not necessarily make a great club. Ultimately, it is always the people. The relationship between staff, management and members must be a balanced dynamic and requires constant fine-tuning. Another concern for all of London’s elite night spots, is that the city itself is always changing – and sometimes not for the better. Generally speaking, London’s nightclub economy has suffered in the last few years. Annabel’s has had less exposure to this on account of its reputation and affluent membership. However, in terms of attracting new members, should it want to build out a balanced, sophisticated crowd, it faces some challenges. 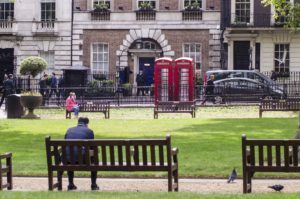 U.K. society – especially in the capital – has become polarised between those with financial and property assets, who have done well since the 2008 financial crisis, and the younger generation who have not yet accumulated sufficient net wealth. Today’s young professionals are smart and like their parents before them, they know how to party. And yet, unless they receive financial help and family backing, millennials simply cannot acquire any real assets – the building blocks to future wealth. In today’s QE-fuelled asset-inflation environment, will they be able to provide the energy and disposable income required to stoke London’s high-end cultural and party scene? 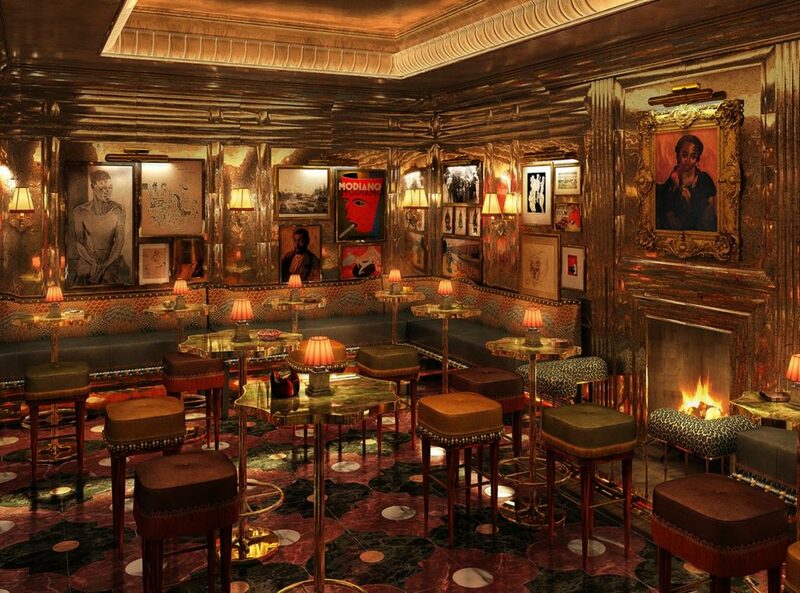 I would be surprised to find the rumour true, that the new Annabel’s intends to build its membership around the rich international crowd at the exclusion of inviting back older members from the old club. A great London nightclub needs a mix of multinational and local residents of all ages and professions to reinforce its identity, and Caring knows that. 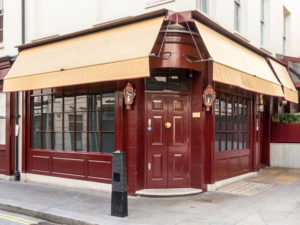 Caring may look to ensure that at least some of the key front-of-house staff from the old Annabel’s transition to the new place. Having well-trained staff like those found working in an upmarket restaurant is one thing, but the skills that top nightclub waiters, barmen and club managers possess are vital. Besides, Annabel’s is expensive and the new club will certainly be no cheaper – providing impeccable service with a personal touch matters. We cherish the positive elements of our unique British culture, especially the legends of our own lifetimes. The ’60s, ‘70s and ‘80s were important; whether it be our royal family, politics, fashion, music, or a certain nightclub in Berkeley Square. 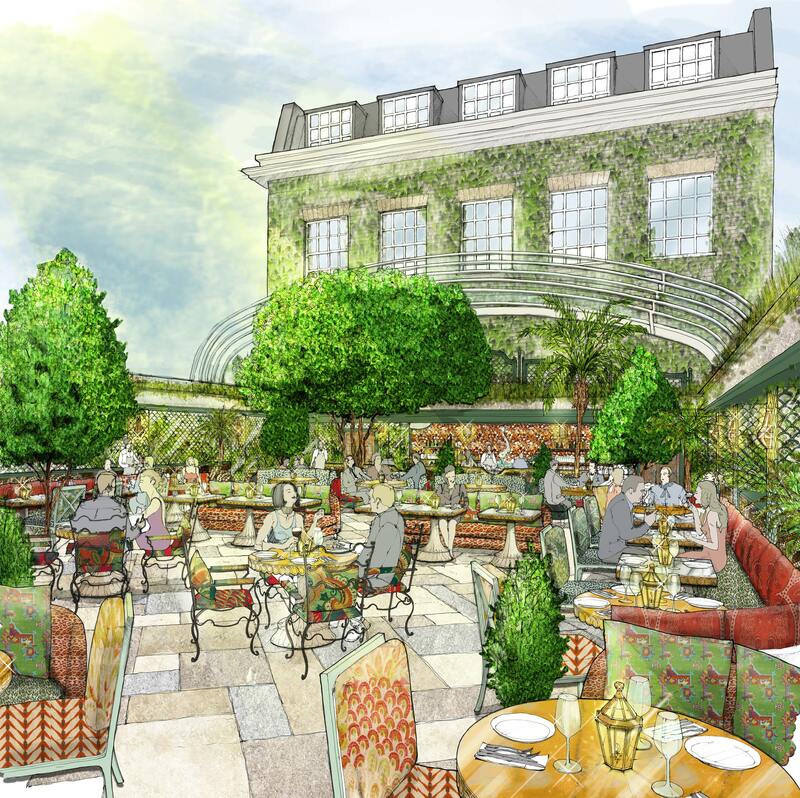 The new Annabel’s will take its rightful place as the pinnacle of Caring’s empire, hopefully placing discretion, quality and exclusivity ahead of squeezing the final millions of incremental revenue through over-selling memberships. Through his own, hopefully regular attendance, combined with hiring a first-class in-house management team, he will come close enough to matching the winning Birley style. Being the visionary that he is, Caring will likely look ahead to a time, possibly in the near future, of a global economic and financial downturn. Maintenance of core principles should transcend the inevitable drag from down-cycles and financial market crashes. Perhaps the real question is not whether the new Annabel’s will once more claim the title of best nightclub in the world, but whether the combined forces of Annabel’s and 5 Hertford Street can draw strength from each other’s unique attributes, and thus be recognised as the greatest two nightclubs of their kind? If they succeed in cementing such a reputation, then London will be a better place for hosting them. We need these clubs, and crucially, we need these clubs to be truly great. The monochrome images of past generations of Annabel’s revellers should inspire today’s new members to want do it all over again. 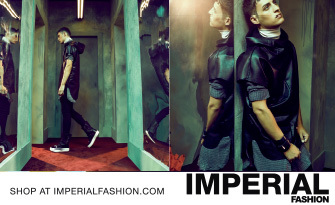 If they do it with the same energy and style – the future promises to be great. Annabel’s is dead. Long live Annabel’s. 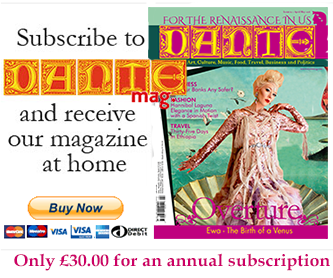 This article appears in the current December 2017-January 2018 issue of DANTE.